I imagine Jamie Noble has a pretty comfy job, although I wouldn't mind seeing him come back too. That sounds awesome, I just got done watching Chikara's Ring Of Wax, ACH had an awesome match in the main event vs Mark Angelosetti, you should definatly check it out. Also, Kaddilack was great in my opinion. For what little he did he left me wanting more. Anyway, Brought in ... Jay Lethal. The guy is a great talent and his ROH stuff as of late has left me wanting to see him in Reseda. The other obvious ones I would like to see are Gargano, Tozawa (Brought back), Low Ki if he is willing to put people over which I doubt, AR Fox, and Naruki Doi. 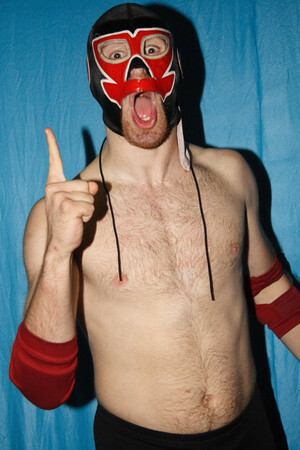 ^If he were to land in PWG someday for some reason a match against Joey Ryan popped to mind, for whatever reason. I believe Kidd is the same kind of worker as Hawkins is, the kind of talent used for tryouts or to get others ring ready again, so they still have value in that sense to McMahonland. When was the last time we saw M-Dogg in PWG? I'd like to see him back. I would also like Zack Sabre Jr. to make make an appearance in PWG, his style always reminded me of Bobby Quance. I wanna see more of Guns N' Rosas aka PPrAy in PWG. Why hasn't Colt Cabana appeared for PWG in a while? RobGrayson wrote: Why hasn't Colt Cabana appeared for PWG in a while? It's a good question but I expect a response along the lines of "I'm tired of his comedy wrestling anyway". OSKMIA wrote: When was the last time we saw M-Dogg in PWG? I'd like to see him back. I would also like Zack Sabre Jr. to make make an appearance in PWG, his style always reminded me of Bobby Quance. I'd love to see ACH and AR Fox debut, and returns for Akira Tozawa, Kenny Omega and Chuck Taylor. Another Dragon Gate invasion would also be ace. It's unlikely, given the expense and travel involved, but Kota Ibushi and Hayato Fujita from Japan, and Noam Dar and El Ligero from the UK, would get over huge. And in an ideal world, Dolph Ziggler, Prince Devitt, Shinsuke Nakamura and Kazuchika Okada would be incredible. toby80 wrote: I'd love to see ACH and AR Fox debut, and returns for Akira Tozawa, Kenny Omega and Chuck Taylor. Another Dragon Gate invasion would also be ace. It's unlikely, given the expense and travel involved, but Kota Ibushi and Hayato Fujita from Japan, and Noam Dar and El Ligero from the UK, would get over huge. And in an ideal world, Dolph Ziggler, Prince Devitt, Shinsuke Nakamura and Kazuchika Okada would be incredible. I really really really really really want ACH to debut in PWG. Especially after Swann made his debut. I honestly think they could be a top team in PWG.